Reaching the right target audience is important for iHeartRadio. 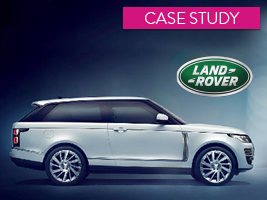 It’s how they’ve gone from successfully navigating traditional radio to ruling the digital radio space. 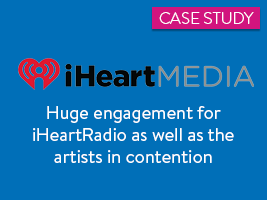 Their approach relies on understanding and empowering music fans by identifying influencers to create fan armies, leading to major engagement and interest in the iHeartRadio Awards. Thriving in the digital world requires commitment to evolution, something iHeartRadio exemplifies in their business practices. Their goal is to continue growing their huge social media presence by keeping their messaging relevant, authentic, and engaging among the right target audiences at all times. They see themselves as catalysts creating opportunities for fans to speak to their favorite artists on a variety of platforms – not just one or two. Using research through first-party and third-party data, they’ve learned it’s not enough to simply create a hashtag for a campaign to succeed. They wanted to create an “omni-logue” with fans to generate excitement and engagement for the iHeartRadio Awards and other events – and they wanted to grab the attention of the Millennial audience in particular. For this they looked to NetBase’s suite of social media analytics tools. Tailoring strategies to employ the strength of individual mediums – like a heart for Instagram, etc. They used these principals along with NetBase analytics to identify influencers in a unique way – giving power back to the fans. Influencers over- indexing for a particular artist would be recruited and then nominate others to create relevant social chatter. The result was several passionate fan armies, voting for artists and competing against one another to win the Best Fan Army award. But the real winner was iHeartRadio, who didn’t have to pay for influencers.